Ropey was born in what was "Frobisher Bay", now called Iqaluit, in the North West Territories. At the age of six he contracted tuberculosis and spent the next six years in various hospitals. For a while he was in Hamilton and then Brampton, Ontario. While away, his mother and father died. His mother died with tuberculosis and his father died in a blizzard. He was going to visit Ropey's eldest sister, also ill with tuberculosis. The sister died later. 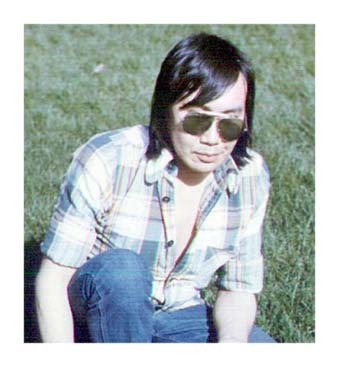 At 19, Ropey was blinded in an accident.Unable to contend with the elements of his blindness in the artic, he was moved to the CNIB Centre in Toronto to learn to live with his disability. Unable to return to the arctic, Ropey settled in London, Ontario. He brought with him his best friend, his seeing eye dog, "Orin". 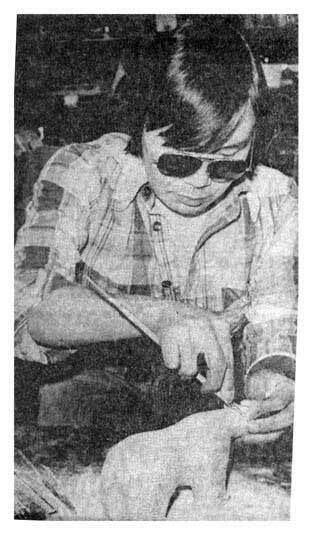 In 1975, he began carving soapstone after coming to a workshop put on by the London Rock and mineral Club at Fanshawe College. Sandy Cline was the instructor. Sandy believes that sculpture is a touch media. "One can feel as many faults in a piece with the hands as can be seen with the eyes," as he often quoted to his students. Ropey was willing to come to the challenge. He began carving at the workshop but later would travel by bus to the studio of Sandy Cline to continue his studies. He would board the bus in London and travel the hundred miles to Sandy's studio. He was very dedicated to learning this craft.One evening, Sandy walked out to the studio to get a tool and found Ropey working in the dark. "Do You want me to turn the lights on" Sandy foolishly asked. Then he remembered that it didn't matter to Ropey if there were lights or no, he was always in the dark. He found that there was a market for his work through art shows and galleries. The London Civic Centre offered him an area in their facility to demonstrate and sell his work. His ability to carve gave him notoriety within the London community and the Native community in the arctic. 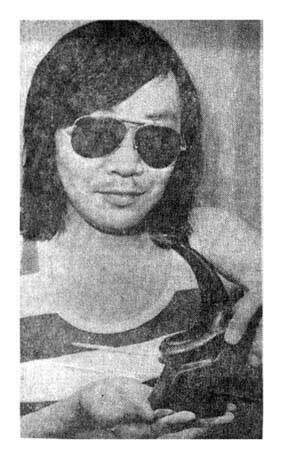 He was able to participate in radio programs and films promoting the abilities of the blind. As he said, " It shows that the blind aren't helpless". On April 8, 1980, he was struck by a car and killed.